The National Coalition Board of Directors meets four times per year to have open discussion on new and ongoing issues related to store operations, system-wide policies, procedures, contractual issues, vendor relations, new products and services, distribution, and the running of the National Coalition. All agenda items are submitted by Board members and National Coalition officers. 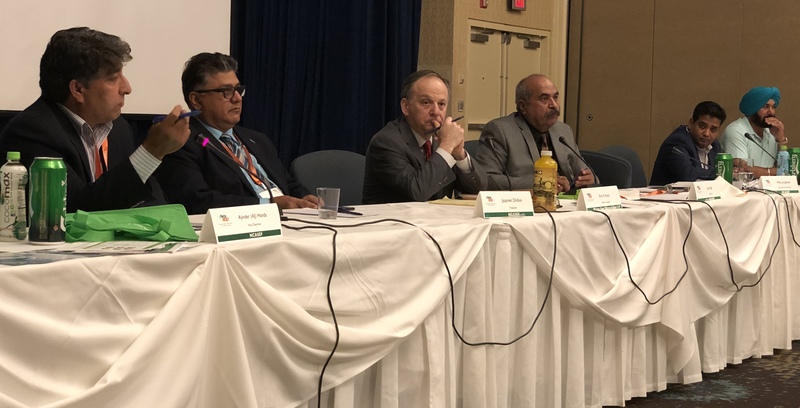 Board meetings typically last three days, and include presentations from 7-Eleven, Inc. senior management and NCASEF officers. Q&A follows all presentations. Two NCASEF Board meetings per year are also Affiliate Member Meetings, and one Board Meeting takes place just preceding the national convention. All Franchise Owner’s Association presidents and vice-presidents are invited to attend Board meetings, as are all area franchisees. Half-hour sponsorships at National Coalition Board of Directors Meetings are available to NCASEF Affiliate Members to deliver new product information, promotions, and deals. All Sponsorship presentations occur during the Board of Directors Meetings. Only Affiliate Members may present. For information on Board Meeting Sponsorship Opportunities, contact John Riggio at 262-394-5518 or click here to email John.